Blood pressure is low in infants and it gradually rises, as the age advances. In adults, the value of systolic pressure is 120 mmHg and the diastolic pressure is 80 mmHg. In old age, due to loss of elasticity (reduced compliance) of arteries, the blood pressure rises. The rise in systolic pressure is greater than the diastolic pressure. 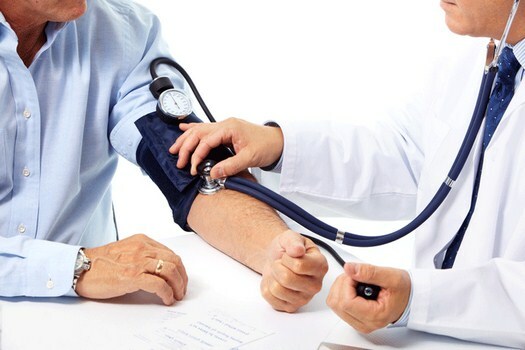 Blood pressure in females is lower than males until menopause. The difference is due to the action of estrogen on the blood vessel walls. The value will become equal to males after menopause, when the estrogen secretion stops. When posture is changed from recumbent to standing, the diastolic pressure raises due to baroreceptor mechanism. The change of posture from standing to recumbent will cause rise in systolic pressure. There is rise in systolic pressure without any change in diastolic pressure in mild to moderate exercise,while strenuous exercise will cause fall in diastolic pressure. The reason is due to the fall in peripheral resistance caused by vasodilatation of arterioles of exercising skeletal muscles. During emotional excitement, the systolic pressure is increased, due to sympathetic stimulation. The increase in cardiac output, which occurs during digestion, leads to rise in the systolic pressure.